Set Dosa is the very popular Dosa in south indian restaurants. This Dose is served in sets. 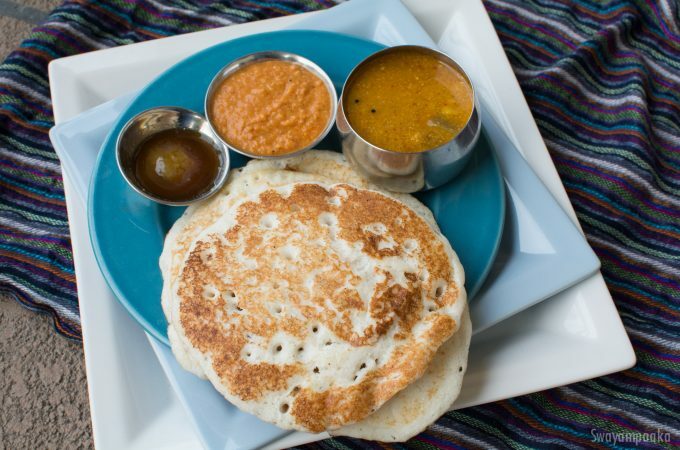 Dose/Dosai/Dosa is a very popular breakfast in southern part of India. We have so many different varieties of dose, though all looks almost the same but taste and flavor is unique to the variety. When you go to any south Indian restaurants the menu says MASALA DOSA, SAADA (PLAIN)DOSA, KHALI DOSA, SET DOSA.. so on.. 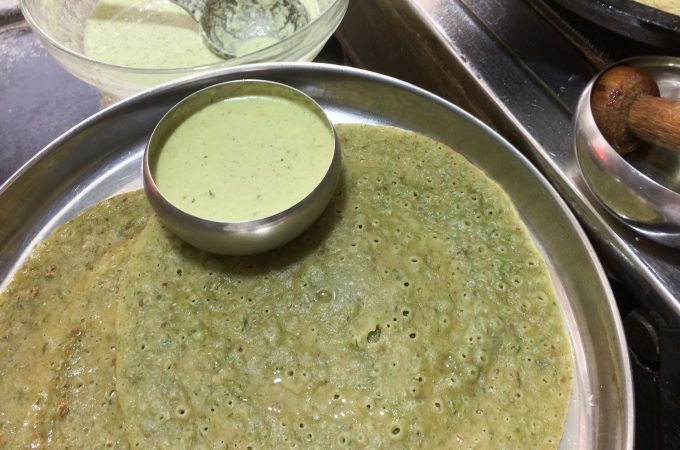 Here we have set dosa recipe from a restaurant chef. This set is soft, and spongy and Gluten free. Akki rotti is extremely popular signature breakfast dish of Karnataka. 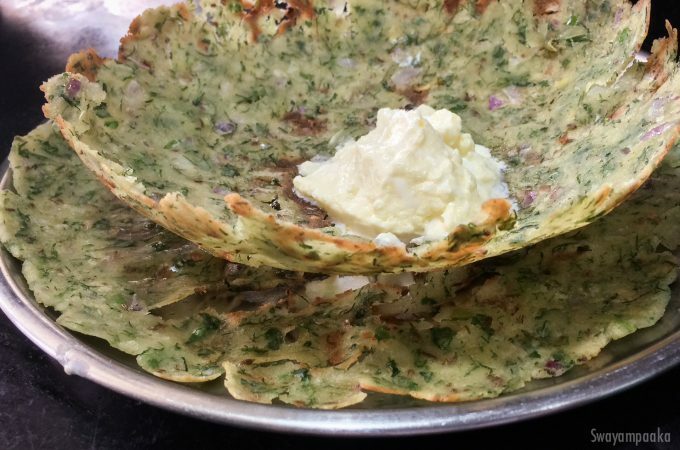 Akki Rotti is unique breakfast dish made with healthy greens and spices. 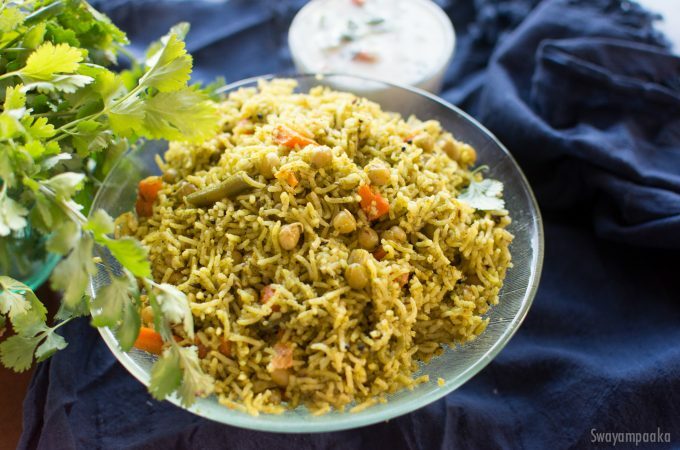 This healthy, delicious rice rotti is vegan and gluten free . The basic akki rotti can be made with rice flour, chopped green chillies, coconut and onion. Creativity does not stop here when it comes to Akki Rotti preparation. Any of your favorite vegetables like carrot, cucumber, sweet potato, potatoes you name it, can be added to it , greens (soppugaLu) make it more flavorful.There are varieties of akki rotti. So create your own akki rotti and share your thoughts with us! Eat rotti as it is or with chutney, ghee or butter.